Many scholars and activists understand the need to create grassroots “counter-geometries” to balance the ever-increasing reach of multinational companies. They highlight the different ways workers or capital can unleash different types of power and leverage the local, national, or international scale to achieve their goals. 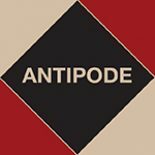 Our collaboration between researchers and activists, supported by an Antipode Foundation Scholar-Activist Project Award, documented how unions across one large company are able or not to organise at a range of scales to confront their company. Over the course of the past year, ReAct organizers and researchers supported a transnational coalition of 20 trade union leaders in France, Italy, Malta, Morocco, and Malaysia, in a microelectronics company. This company features a global workforce of approximately 40,000 workers, across nine countries. This core group of union leaders was brought together to develop the collective capacity of 30,000 workers throughout the company. Throughout the year, our team brought together union leaders from the various sites of the company to share information about their local problems, understand each other’s constraints, and back a common agenda. Increasing collaboration and the flow of information between these union representatives was a necessary precondition for coordinated democratic global labor activism to take place. The grant from the Antipode Foundation enabled our organizers and partners to spend two months in the field with unions in France, Italy, and Morocco, understanding each local union’s interests, current campaigns, and set-backs. At each site, we encountered many divisions between workers, both locally (e.g. between blue and white collars, permanent and contractual workers) and internationally (between workers in the North or the South, in production or assembly). Faced with these challenges to finding common interests and experiences, unions adopt different strategies; slowly they are sharing these strategies and assessing whether and how to translate a strategy to another context. In the company’s sites without unions, we and our partners investigated the working conditions and assessed the opportunities for and subsequent obstacles to organising workers. We found the combined challenge of high turn-over and poor pay without shocking working conditions to numb initial attempts of organising. Further, sites are located in Special Economic Zones (SEZ), where companies have access to financial incentives and greater control over the workforce, enabling them to actively reproduce the myth that workers in SEZ have no union rights. This provides another practical barrier to organising. The limits of our research also became apparent; though talking to people who will leave within six months might provide useful data, it fails to support the building of an organisation. Confronted with such practical and social conditions, we have yet to find a way for international support to contribute to workers’ organising efforts in these worksites without existing unions. Elsewhere, with the existing unions, we found that the desire of union leaders to work together was not enough for their group to produce an effective transnational campaign; we found they needed concrete proposals to ground the abstraction of international solidarity into actions. To do so, we collaborated with them to organise two global days of action, which were organised through ten conferences calls with over six union representatives. Though their first point of agreement was to struggle together for the global respect of workers’ rights, each union held a different view of what this general notion meant, and where such respect was most needed. In some places unions focused mostly on union rights; in others on security issues or discrimination; in others again on the future of jobs. As a result, the first day of action centred on workers’ rights and the second on demanding that the company diminish its dividend pay-out and increase investments to ensure the future of workers’ jobs. When these unions physically met, they decided to campaign for a global framework agreement (GFA) together. Right now, they are assessing how to hold on to their diverse local issues and articulate them within the demand for a GFA. Working together they are slowly producing a common vocabulary of what solidarity and workers’ rights mean, and how to articulate the blatant North/South divide. They are also working through their different ideologies, practices, and cultures of organising. Part of our task as researchers has been to ensure that there is a safe and productive space in which to negotiate these differences and slowly build trust between participants. In addition to having this space of exchange, the experience of common collective actions has been essential to the production of trust, allowing people to disagree within the frame of a common goal, recognised common interests, and experienced common struggle. A campaign of this scope has rarely been attempted by such a ragtag group of grassroots organizers. Most scholarly treatments of transnational labour activism lament the dearth of bottom-up organizing, noting the prevalence of top-down strategies to win GFAs. The collaboration with ReAct has proven exciting and challenging; we have had to negotiate between the different publics to which we are accountable and their priorities of interests. Doing so has not always been comfortable, but it has, we believe, prompted productive tensions for all to learn from. Without the Antipode Foundation funding, the critical coalition building and expression of each local union’s interest would have been impossible, and this campaign would have demanded a “reasonable” deal from the company which would have not been based on local needs and served mostly as a corporate social responsibility advertisement for the company. By contrast, our campaign to achieve a GFA, though far from over, began with conversations at worksites and local union offices. We therefore feel we have begun to achieve in practice what theorists are always looking for—grassroots globalism. In this way, we hope to contribute something meaningful to both theory and practice. Public social science, as Michael Burawoy described it, has been narrowly interpreted as simply writing and publishing for a general audience, hoping to contribute to a lively public debate. But there has been insufficient attention paid to who receives such information and how to support them to use such information. Therefore, a project of scholars and activists is necessarily interested in both the promotion of scholarly work for the general public, but also in supporting those publics to use the material in a way that is meaningful to hem. This campaign work was research-driven, seeking to understand the interplay between each union’s context, power, and issues, and action-driven, aiming to strengthen the unions’ international efforts through ongoing interaction, exchange of methods, and reflections. In that sense, our work as scholars and organizers was focused on the interplay between the objective constraints we faced and varied subjective positions of the people we met and mobilized. Each changing local, national, and international context brought both positive and negative feedbacks to the unions’ solidarity efforts, highlighting the potential of a local struggle to energise a global campaign, and a local struggle’s divisive potential when seeking a resolution through any means, regardless of other interests. We hope to have provided a reflective space for these tensions to be explored together by union representatives, to have resourced their struggles in the minute ways of organising meetings, translating documents, and supporting their communication, and to have provided ideas and stories from other international campaigns to collectively learn from historical successes and pitfalls. We hope, after such a campaign, to reflect upon the practices and produce tools that can assess and support similar endeavours, whilst always grounding them in the specific contexts encountered. As E.P. Thompson reminds us, “in the end, no model can give us what ought to be the ‘true’ class formation for a certain ‘stage’ of process. No actual class formation in history is any truer or more real than any other, and class defines itself as, in fact, it eventuates” (1978: 150). As scholars, we cannot say which model of collaboration is appropriate for the neoliberal stage of hyperglobalised capitalism. Here, we have tried to understand the specific contexts in which this coalition is unfolding, support the coalition both with our resources and critical thinking, and create spaces where collaboration is debated and practiced on an ongoing basis. After a year, our project to bring unionists from one company together still eventuates. There is still so much to work for, and still so much to hope for.